Shifting Sands is being released tomorrow, together with the new v1.13 game update. Part 1 of this series covered the period from the sidelines of the Suez Crisis up to the Six-Day War, and Part 2 addressed the War of Attrition and the start of the Yom Kippur War. Now we conclude the series with the later stages of the October conflict, and the raids on Osirak and the Bekaa Valley. 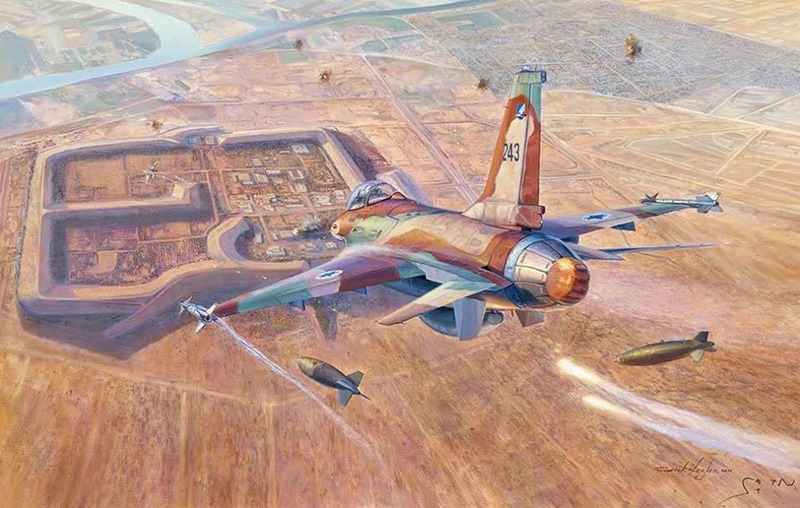 Over the course of the Yom Kippur War, Israel launched repeated attacks against the airfields at el-Mansourah, Tanta and Salihiyah. In fact, attempts had been made to attack el-Mansourah on October 7, 9, and 12, but each had failed to breach the EAF’s tough resistance as well as fearsome anti-aircraft gun and missile fire. 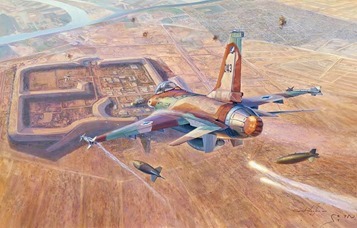 In the aftermath of the disastrous Six-Day War, when the EAF lost almost all its aircraft on the ground to Israel’s preemptive strike, the Egyptians had constructed around 500 concrete shelters on 20 major airbases to prevent their aircraft from being destroyed on the ground in a future conflict. The fourth and final Israeli assault on October 14 was to be the most determined, using large numbers of F-4 Phantoms and A-4 Skyhawks (many of them freshly delivered from the US) attempting to hit the huge airbase at el-Mansourah. The Israeli aircraft were spotted approaching from the Mediterranean Sea; The EAF’s 104th Air Wing immediately scrambled its fighters, while signaling for and receiving additional reinforcements from other nearby airbases. 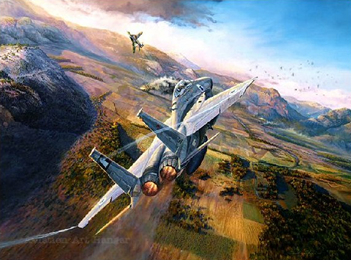 The resulting massive air battle culminated in an almost continuous dogfight lasting no less than 53 minutes. According to Egyptian estimates, well over 120 Israeli aircraft were involved at one time facing at least 62 Egyptian MiGs. Military observers expecting a re-run of Israel’s 1967 lopsided triumph were in for a rude shock. 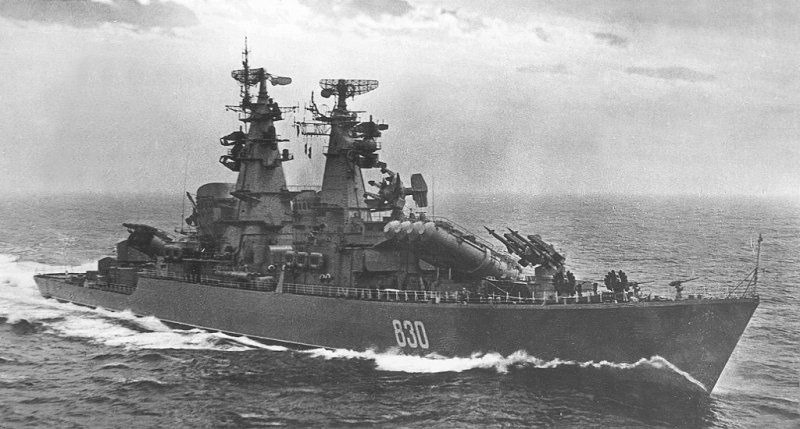 Since the mid-1960s, Soviet naval forces were increasingly deployed abroad. In 1964 the Mediterranean squadron (aka "Fifth Eskadra") became the first forward-deployed Soviet naval force. 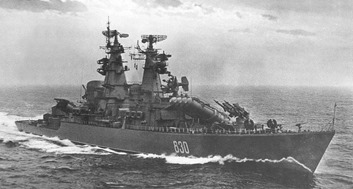 By 1966 the Soviets had built up their Mediterranean force to an average strength of fifteen ships, which were making port calls from Egypt to Gibraltar. This Soviet deployment in the eastern Mediterranean was initially intended to counter the American deployment of strategic cruise- and ballistic-missile submarines there. As American missiles improved in range and accuracy, the Soviets were necessarily drawn into blue water operations to hunt and destroy the boats carrying them. The first significant statement of Soviet sea power in the Mediterranean came in 1967 during the Arab-Israeli conflict. During the Six-Day War on June 1967 the Soviets increased their force in a show of support for the Arab states. That was the first opportunity taken by the Soviets to demonstrate their willingness to influence major events in the area by the use of naval power. During that crisis, the Soviet Mediterranean Squadron numbered up to some 70 units, some of which were stationed in Port Said and Alexandria, to prevent Israeli attacks against those ports. This Soviet presence rapidly expanded, and by 1970, the Eskadra steadily maintained 70 vessels in the eastern Mediterranean, with logistical support coming from the Black Sea and additional units regularly "cross-attached" from the Northern and Baltic fleets. During the Yom Kippur War (October 1973) the force rose from 52 to 95 ships (including over a dozen destroyers and nearly two dozen submarines), outnumbering the American 6th Fleet. This time, the Soviets were prepared to commit significant assets and resources to assist their Arab allies’ objectives. But how far were they really willing to go? In 1976, Iraq purchased an Osiris-type nuclear reactor from France. While Iraq and France maintained that the reactor, named Osirak by the French, was intended for peaceful scientific research, the Israeli government viewed the reactor with suspicion, and repeatedly claimed that it was designed to produce weapons-grade plutonium. Iran shared Israel’s concern and actually attacked the reactor on September 1980 while it was still under constructions (operation "Scorch Sword"), damaging it slightly. The damage was subsequently repaired by French engineers and the countdown to operational commencement resumed. Israeli preparations for striking the reactor started as early as 1976, with PM Begin authorizing the constructions of a full-scale target model of the reactor which Israeli pilots could then practice attacking. Three pilots died in accidents while training for the mission. Israel reportedly conducted a series of clandestine operations to halt construction or destroy the reactor. For example, in April 1979 Mossad agents in France allegedly planted a bomb that destroyed the reactor’s first set of core structures while they were awaiting shipment to Iraq. In June 1980, _someone_ assassinated Yehia El-Mashad, an Egyptian atomic scientist working on the Iraqi nuclear program. It has also been claimed that Mossad bombed several of the French and Italian companies it suspected of working on the project, and sent threatening letters to top officials and technicians. Following the April 1979 bombing, France inserted a clause in its agreement with Iraq dictating that French personnel would have to supervise the Osirak reactor on-site for a period of ten years. The window of opportunity for a disabling strike on the reactor began closing rapidly. Osirak was estimated to "go critical" on June/July 1981; once this happened, any major damage on the reactor circulation piping & infrastructure was likely to cause a catastrophic explosion and widespread contamination similar to the Chernobyl accident in 1986 (anecdotally, a US official counseled his Israeli counterpart: "if you’re going to bomb that thing after it goes live, you may as well drop a nuke on it; the fallout will be about the same"). Final plans for the strike, codenamed Operation Opera, were laid out in the first months of 1981. Eight brand-new F-16As would deliver 2 Mk84 bombs each, while six F-15As would provide air cover. The Eagles would fly a high CAP profile and had no problem with the range, but the Falcons had to fly their ingress at low altitude and follow a near-impossible profile fuel-wise. The F-16s were stripped of every possible non-essential weight to make their flight as efficient as possible; even so, it was considered likely that they would have to land on divert fields on the return leg. Opera would have only one shot at Osirak. Iraq had already increased the defences and alert levels in the reactor vicinity following the failed Iranian attempt. If the strike failed, these would undoubtedly be redoubled, and thus a follow-up operation before the reactor going critical would become a practical impossibility. On June 7 1981, at 15:55 local time, the 14 aircraft departed Etzion airbase, and one of the most critical missions in IAF’s history was underway. The horrific losses suffered by the IAF on the first days of the Yom Kippur war were a wake-up call to Israel’s traditional dependence on its air force as "airborne artillery" and force multiplier against the vastly numerically superior Arab armies. While Egyptian and Syrian pilots displayed a marked improvement compared to their 1967 performance, it was the new SAM & AAA systems, fielded by the Arab forces into essentially the first integrated air-defence system (IADS), that really made the difference. 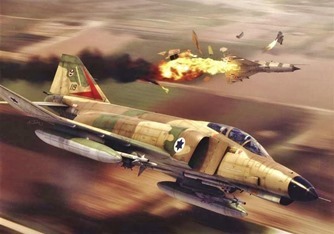 Ezer Weizman, a former IAF commander, stated that "the wing of the fighter plane was broken by the SAM". (The same concern was shared among NATO countries, who likewise relied primarily on their airpower to stop a Warsaw Pact attack on the European front, and sparked the development of practical applications of stealth technology, leading to the creation of the F-117 and B-2). Israel wasted no time in studying the lessons of Yom Kippur and developing new systems and tactics which, they hoped, would allow them to regain the upper hand in future confrontations. On April 28 1981, IAF F-16s shot down two Syrian helicopters over Lebanon. Syria responded by deploying its first SAM brigades to the Bekaa Valley. The SAM batteries were not a direct strategic threat to Israel, and there were already several Syrian SAM batteries in east Lebanon, across the border. Begin’s cabinet faced a dilemma: on one hand, the new deployment damaged Israel’s deterrence credibility and, on the other hand, a strike might lead to an unnecessary clash with Syria. Eventually an attack was selected, to be launched on April 30, but the operation was called off due to weather conditions. By the time the weather cleared, the IAF was preoccupied with preparations for Operation Opera. Meanwhile, the United States was concerned that Soviet reaction to an Israeli strike might lead to a crisis between the superpowers, and pressured the Israelis not to attack. Israel agreed to cancel the strike, and an American envoy, Philip Habib, was sent to the region as a mediator. He shuttled between Jerusalem and Damascus but failed to get the SAM batteries removed. On December 14, Israel passed the Golan Heights Law which annexed the Golan Heights to Israel. The Syrian President, Hafez al-Assad, considered it a declaration of war, but believed that Syria was in no condition to fight it. The law subjected Israel to severe American and international criticism. Over the next following months, the situation escalated to the point where a clash between Israeli and Syrian forces appeared inevitable. On June 8 1982, as Israeli ground forces advanced on Jezzine and clashed with Syrian armor, the operation to suppress/destroy Syrian SAMs in the Bekaa was finally approved. The operation was originally called "Mole 3", but the figure had increased in respect to the number of SAM batteries detected, eventually reaching 19. At this point the name was changed to "Mole Cricket", after the name of the plan for a general war since 1973. The next day, June 9, the IAF started sortieing almost its entire fighter force, backed up by an extensive array of AEW and electronic-warfare assets. Mole Cricket 19 was underway. Not only was the primary objective the elimination of the Syrian SAM presence in Bekaa, but inevitably the Syrian airforce would challenge the Israeli operations and would also need to be held at bay; not attacked on the ground, as the Israelis would prefer, but this time in the air. The IAF had been preparing for this contingency for 9 years, researching means and methods to crack the seemingly insurmountable IADS problem. Would the new IAF tricks work? Or was a 1973 repeat in the cards? This concludes our pre-release coverage of Shifting Sands. 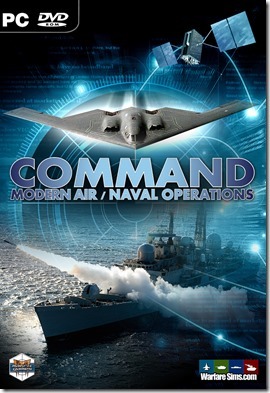 As with past campaign packs for Command, we hope that playing through this one will equally entertain and educate you. Contrary to the other campaigns, this is based almost entirely on historical conflicts. Your forces, allies and adversaries in this game are simulated, but the people they closely resemble are/were real, and they fought and (many of them) died for their side, their mission and their cause. If you forget everything else long after playing this game, remember that.